Premium Material Made with premium tinned copper 22 AWG high cauge low impedance wire,date transfer speed up to 500 mb/s. Safe and Reliable Passed testing in lab with more than 72 hours charging with 3A current. Super Durable High quality nickel plated seainless micro-usb connector and usb-A connector allow up to 1000 times insert and plug. 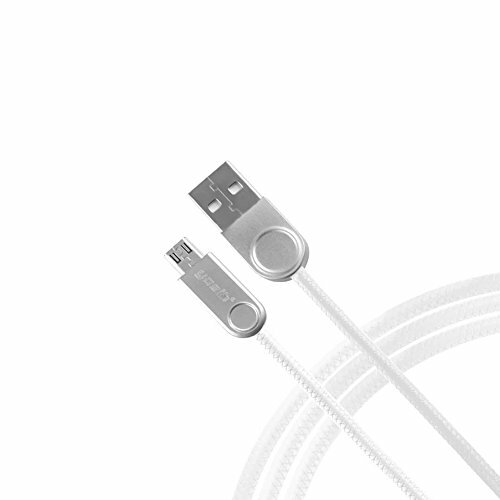 What do you get: One micro USB cable with portable cable organizer. Fast and quality customer service, you can rest assured within 24 hours.